A mod rocket called The Ares-1. Built with of the finest parts, its root part is Mark1-2Pod. 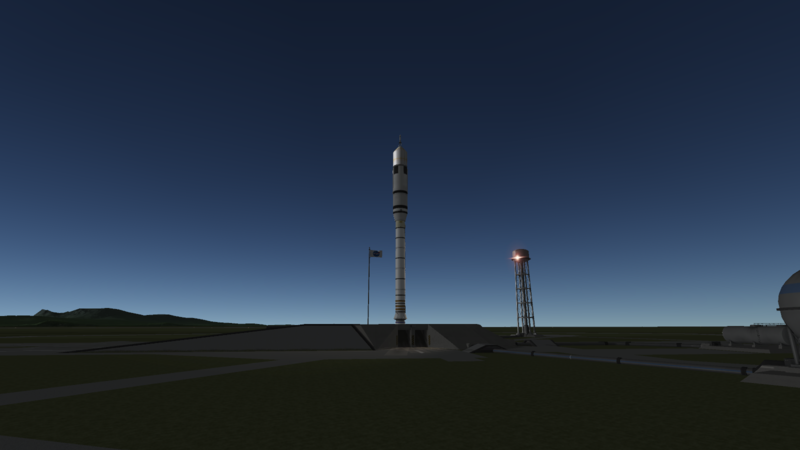 Built in the VAB in KSP version 1.2.2.It is based off the rocket of the same name that was never fully developed. it is an Orion capsule launched on a 5 stack high SRB that has a J-2X middle stage same middle stage used in the Saturn 5 Apollo missions. i have to thank user Mamlo for his Orion capsule. I used it from his Orion 5 LKO craft. i hope you enjoy this craft. it is the first one I’ve uploaded to kerbalx.